The Environment Ministry will launch an environment awareness initiative, under which an online environmental quiz competition named “Prakriti Khoj” – an Environment Quiz to be conducted at the national level. The quiz is being launched on September 5 on the occasion of Teachers’ Day. It will be an ideal medium to reach out to young minds through a fun-filled interactive learning mode to trigger their sensitivity towards environment protection and conservation. This quiz, in a way, will provide a unique platform for students to measure their awareness level regarding environmental issues. It aims to motivate them towards effective participation in other major programmes related to conservation and protection of the Ministry. The quiz is planned in two phases. For the first phase, it is envisaged that maximum number of children of schools under the National Green Corps (NGC) programme of the Ministry should get an opportunity to participate in this environmental quiz. NGC was initiated by Ministry in 2001-02 for creating environmental awareness among children by formulating “Eco-clubs” in schools across the country. There are around 1,00,000 Eco-clubs across the country, making it one of the largest conservation networks, wherein students are involved in various kind of activities such as cleanliness drives, carrying out waste segregation, composting using bio-degradable wastes, subsisting the concept of three R’s, viz, Reduce, Reuse and Recycle; Nukkad Nataks etc. Three age groups is planned to be covered in Phase-I which will be open only to Eco-clubs i.e. in the age-groups 8-12 years, 13-15 years and 16-18 years. After this, based on the feedback received from the participants, the second phase of the quiz will be open to students from all schools across the country in the year 2018. The mode of quiz will be online through multiple choice questions. Thematic areas like climate change, biodiversity, forest and wildlife, pollution, waste management, rivers and lakes, natural history, international conventions such as Convention on Biological Diversity, United Nations Framework Convention on Climate Change, United Nations Convention to Combat Desertification, Convention on International Trade in Endangered Species of Wild Fauna and Flora etc. have been chosen for the quiz. A separate webportal - www.ngc.nic.in containing information on the quiz has been developed by Ministry. Dates of the quiz will be updated on the Prakriti Khoj portal, as well as the Ministry’s website. The students from Eco-clubs specially registered on the portal will be able to participate in the qualification round from September 18, 2017 onwards. During the first phase, the Ministry of Environment, Forest and Climate Change, in cooperation with State nodal agencies of National Green Corps programme, which are State Pollution Control Boards (SPCBs), State Government Bodies within the Environment Departments, State Science Council will implement the quiz programme through online mode. Quiz will be organized in school premises under the supervision of Principals/Eco-club Coordinators. There will be cash prizes for the winners. All participants will receive an E-certificate of participation, duly signed by Union Minister of Environment, Forest and Climate Change. On June 15, 2017, at the concluding function of Swachhta Pakwada held in National Zoological Park, Delhi, Union Minister for Environment, Forest and Climate Change, Dr Harsh Vardhan had said that environment awareness campaign and its successful implementation relating to protection and conservation, youth across the country should be continued as a movement. Accordingly, under the Swachh Bharat Mission “Prakriti Paryavaran aur Hum – Green March” was considered to be launched as a continuous activity and campaign. He further suggested that children and youth must be made an integral part of this campaign and should be made aware about the importance of environment related issues. 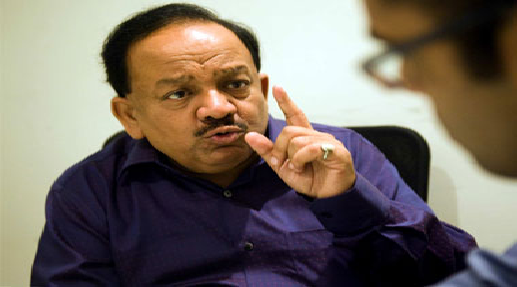 Dr Harsh Vardhan further directed that children/youth should be actively involved in promoting a mass movement. Youth can make a difference at both local and community level, which in due course will lead to awareness at village, city, state and country level. He wanted youth to become “Paryavaran Prerak”. A separate webportal - www.ngc.nic.in containing information on the quiz has been developed by Ministry. Dates of the quiz will be updated on the Prakriti Khoj portal, as well as the Ministry’s website.